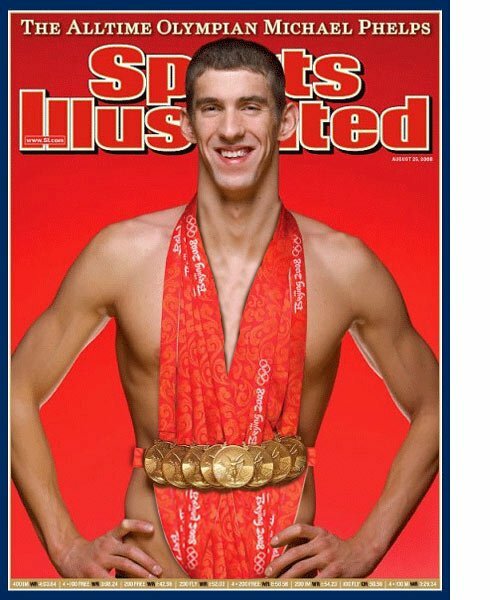 I was reading Mashable about Michael Phelps having one million Facebook fans dressed up with a Sports Illustrated cover with the 8 gold medalist on it. I’m really sorry for my blunt humor. But I could not resist retouching Mr Phelps a little bit. A psychologist would probably say I was stressed due to the fact that Sweden has totally failed in the Olympics this year. I say, I’m just having fun.